It was early October. The sun was shining and my cappuccino from Café Gerbeaud bore a little heart in its foam. The sun caught the edge of the gilt sign that I imagined had graced the frontage since 1870, the year the café had first opened its doors here on Vörösmarty tér. This was a return visit to the Hungarian capital for me, and this was the place I remembered most fondly. Idly, I flicked a crumb onto the pavement and watched as a tiny sparrow pecked it clean. Budapest is one of my favourite European cities. 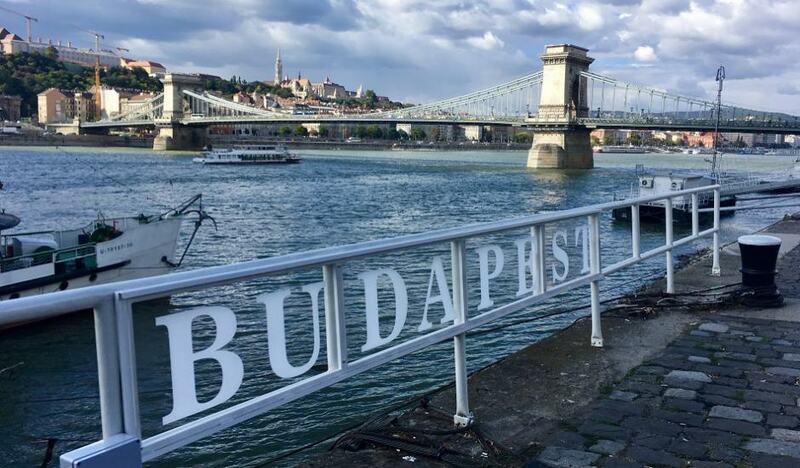 There is something about it that is eager to please: if you don’t like Buda, it seems to say, then why not cross the Danube and try my twin Pest instead? I liked both. 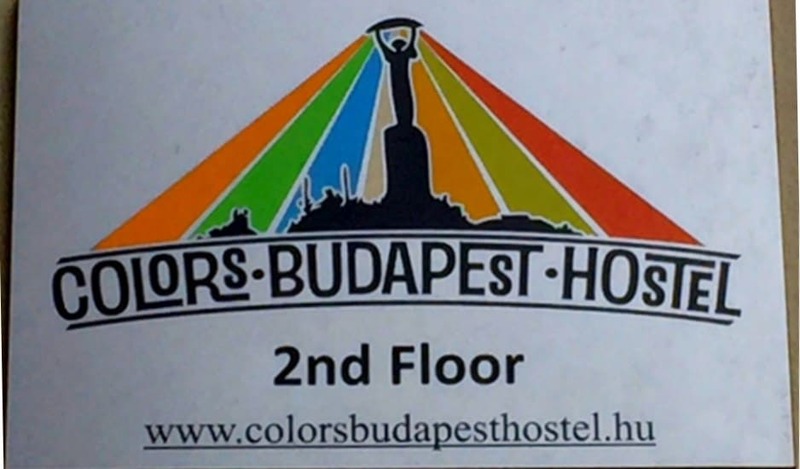 Even more, I liked how cheap the flights were with Ryanair and how little a decent hotel cost; even the swanky Art Nouveau Hotel Gellért, the grand old lady of Budapest’s hotels, came in at under £100 a night. 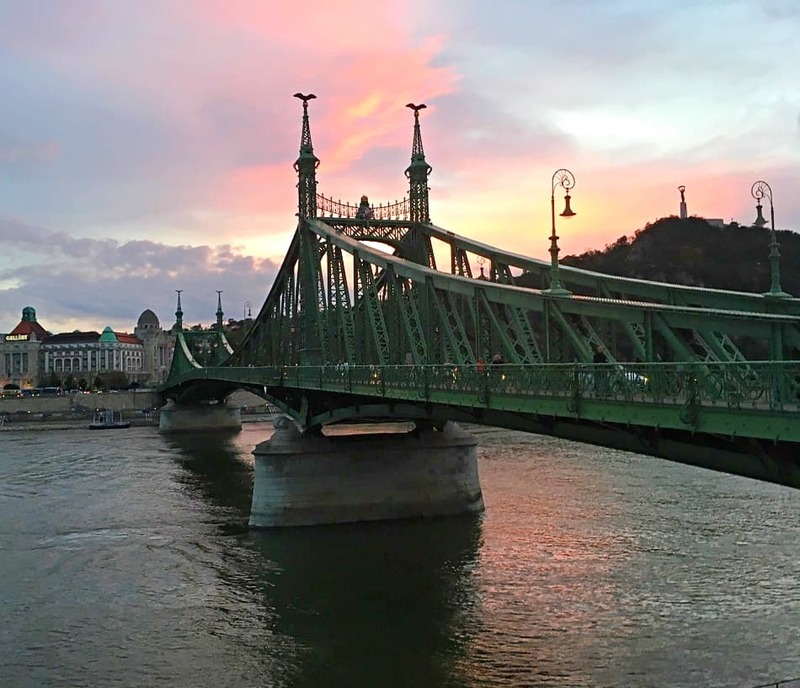 This time, however, I’d opted for an even more affordable apartment right across the square from Café Gerbeaud; the Royal Danube promised to blend contemporary living with good old fashioned style and best of all, was right near the subway station. Metro Line 1, Budapest’s oldest, was worth a ride just for a ride’s sake. The oldest of the city’s underground railway routes, it has run continuously since 1896, second in age only to the London Underground. Its heritage wooden rolling stock is still in day to day use, carrying over 100,000 people to and from work every day. It even had its own UNESCO listing. Later in my trip, it would take me to the House of Terror where I’d learn about the country’s Communist past but today, given the weather, I wanted to walk. 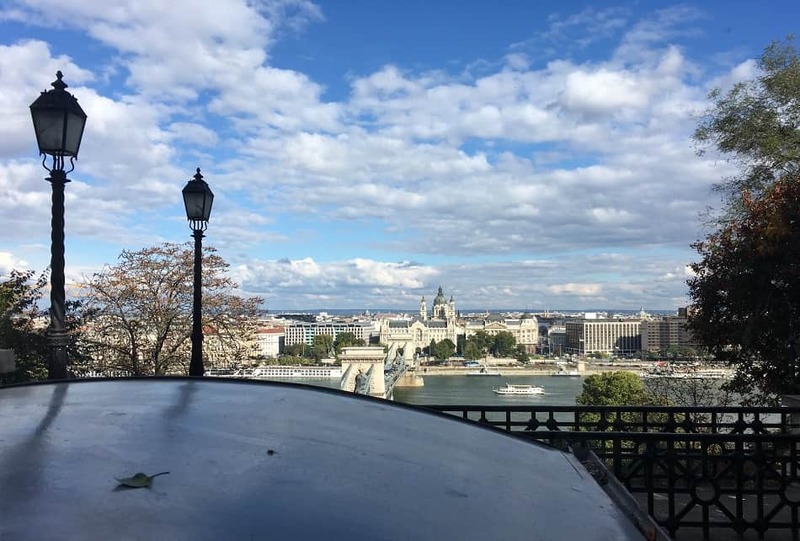 From Vörösmarty square, it was an easy stroll to the Danube and along to the famous Széchenyi Chain Bridge, which when it opened in 1849 was the first to link the two halves of the city. The bridge conveniently leads to the Castle Hill Funicular, on the hillier Buda side of the river. I was grateful for the ride: although the views were spectacular from the top, the climb up wouldn’t have been kind to creaking middle-aged knees. It was no wonder the queue snaked back to the bridge. At the top of the funicular perched the castle. It housed the National Art Gallery but the best panorama was right there in its gardens: the view over the city. Vehicle access to the castle district is restricted, making this one of the most atmospheric places in the city to walk, its cobbled streets lined with museums, cafes and shops. Admittedly, the area is tourist central what with the castle and the changing of the guard, but it’s still irresistible, not least for the wine tastings on offer at the Faust Cellar in the caves beneath. I’m a sucker for Hungary’s sweet Tokaji wine. At Fisherman’s Bastion, Buda’s iconic fairytale terrace, I wasn’t tempted to pay the admission fee to get inside the towers, nor to have an overpriced snack in the terrace cafe; the next section offered the same views but was free to access. From the lofty vantage point, I could watch the barges drift along the river in front of Pest’s Parliament Building; the Danube is still determinedly a working river. Parliament is the country’s largest building and, like the British equivalent, constructed in Gothic Revival style. I Googled who had copied who and was pleased to find we’d got in first. The Number 16 bus took me back down to the river. Budapest has something of a reputation for its transit system catching out “fare dodging” tourists who forget to validate their ticket on the city’s buses and trams. Last time I’d almost been caught out, needing the help of several of my fellow tram passengers to figure out the tricky ticket validator. This time, I was taking no chances and carried a day pass. I was grateful for the transport map I’d picked up at the airport information counter; it had me hopping on and off buses like a local and I was soon at the market across town. Strings of paprika, the key ingredient of Hungary’s signature dish goulash, hung from many of the stalls but it was the warm, flaky pastries I’d set my sights on as I refuelled. 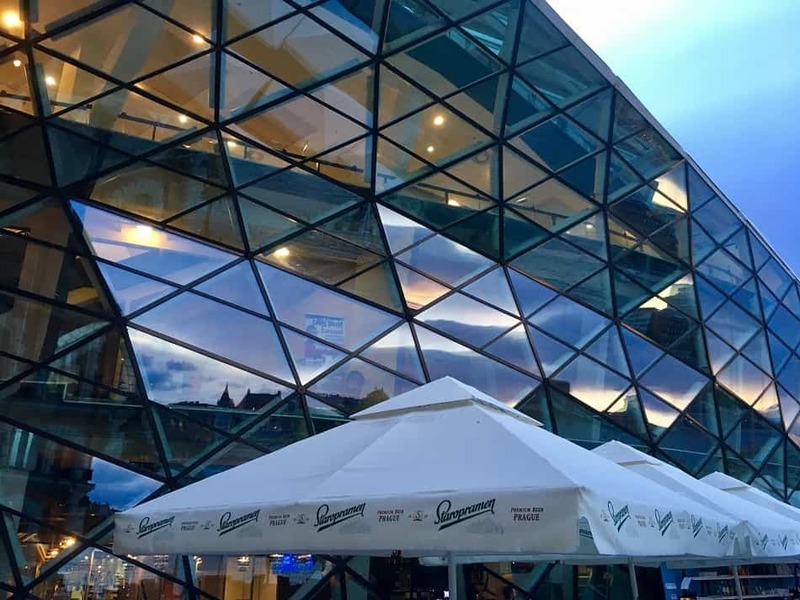 This area was to provide dinner too; the Bálna riverfront warehouse conversion – or in English, the Whale – was the Budapest cityscape’s most recent architectural addition and home to several trendy eateries. After such a long day of walking, I woke up the following morning to find my muscles craved only one thing: warm water. Fortunately, this is what sets Budapest apart from the other great cities of the Habsburg Empire. It boasts an incredible 118 hot springs which provide over 70 million litres of deliciously toasty water every day with temperatures starting at a comfortable 21°C and rising as high as anyone can tolerate. 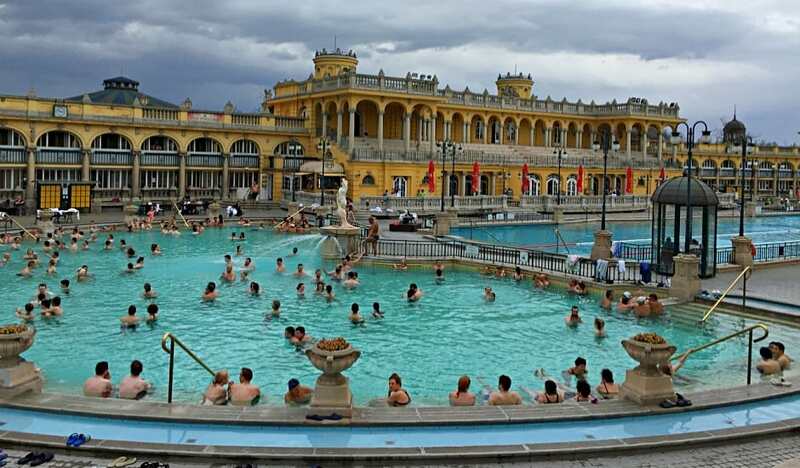 Taking the waters is the essential Budapest experience and there are around 15 public baths scattered around the city in addition to the private spas. Each has its own niche: the sprawling Széchenyi thermal baths feature a sizeable swimming pool for serious exercise (and a guided tour for those who don’t want to get wet), historic Rudas with its 16th century domed Turkish centre piece opens late on weekends to suit night owls, while the wave pool and slides of the Palatinus Bath make this one a firm favourite with children. Spoilt for choice, I opted for the Lukacs Baths, a bit of a trek but reputedly the most popular with locals. The ageing building flaked egg-yolk yellow paint onto the floor like dandruff and looked like it hadn’t been renovated for decades, but it more than delivered on atmosphere, value and the number of people speaking Magyar. Reinvigorated, it was time to hit the streets again.